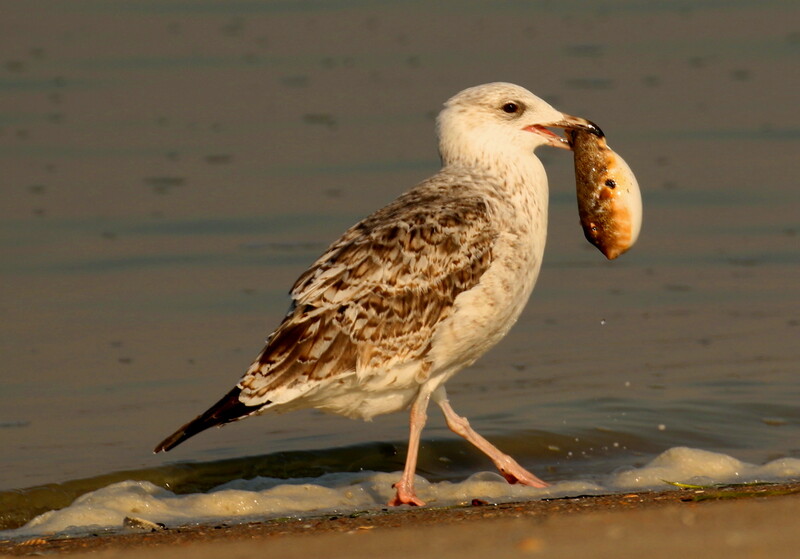 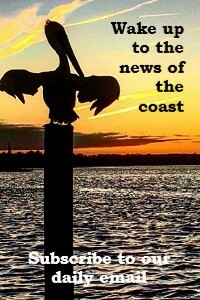 Sam Bland captured in Emerald Isle this photo of a gull with a puffer fish trapped in its beak. 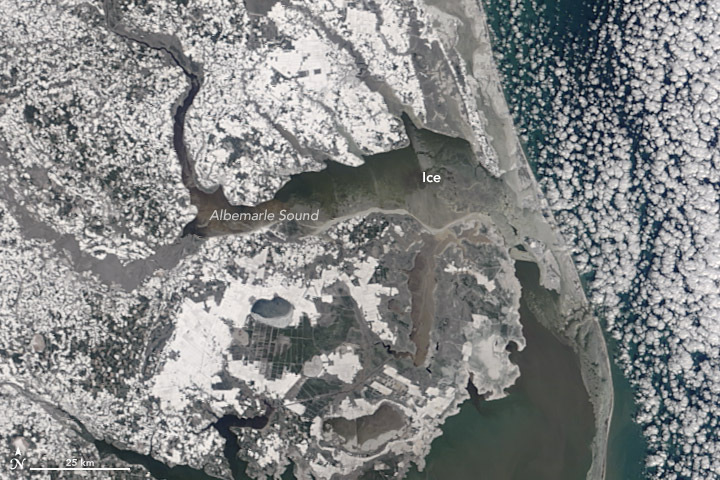 The Moderate Resolution Imaging Spectroradiometer, or MODIS, on NASA’s Earth Observing System satellite Terra captured this image Jan. 7, that shows ice in the Albemarle Sound after a powerful nor’easter dumped snow across the East Coast and another blast of bitterly cold air drove frigid temperatures lower still. 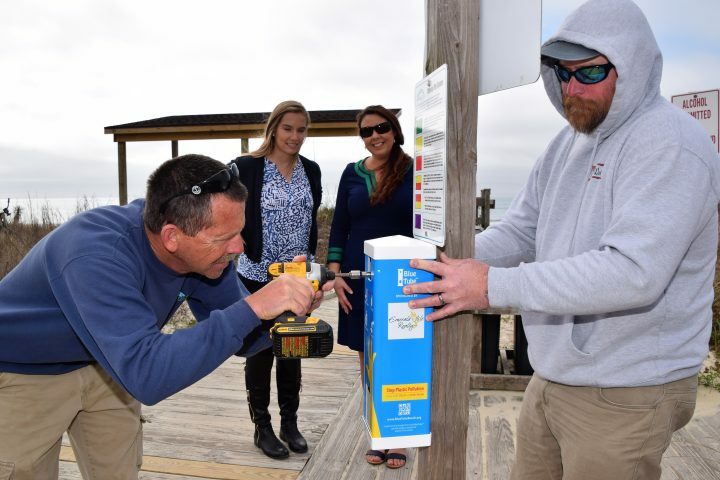 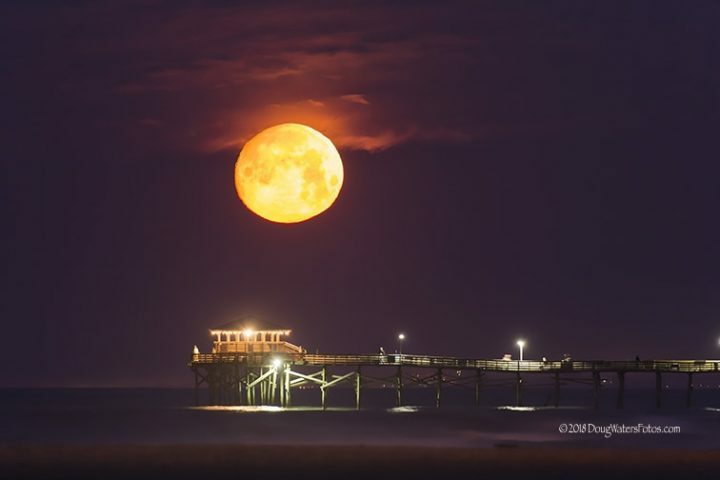 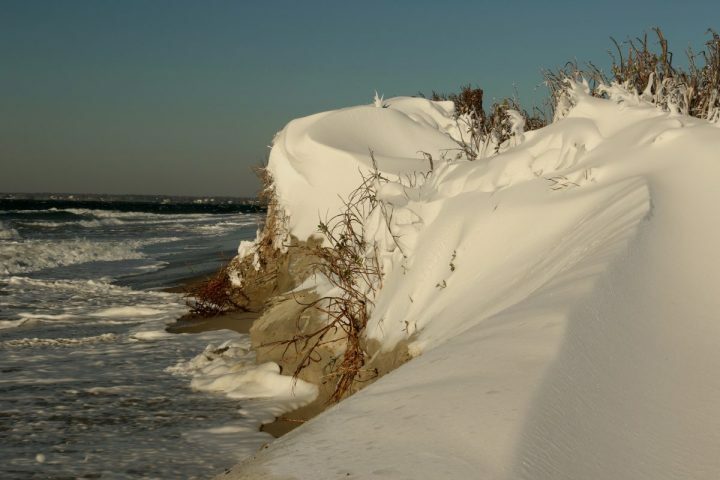 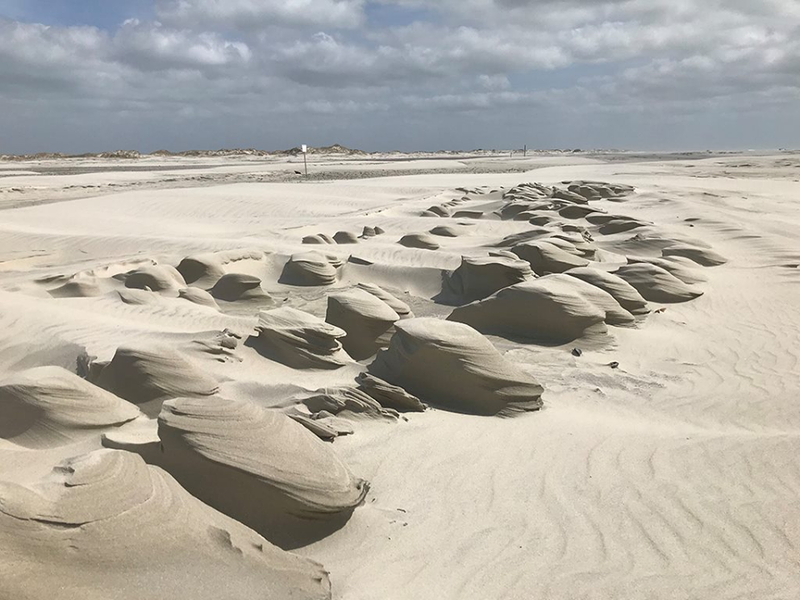 Our Sam Bland captured Thursday this image of snow-capped dunes at the Point in Emerald Isle, the westernmost tip of Bogue Banks. 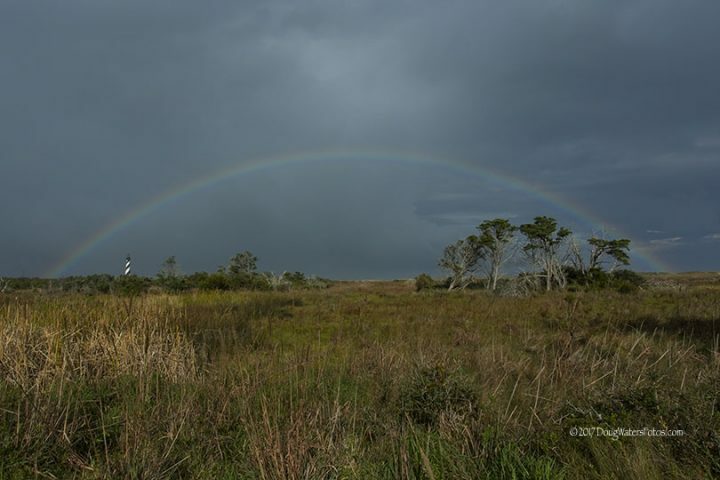 Doug Waters of Morehead City captured this image of a rainbow over the Cape Hatteras National Seashore in November at Buxton. 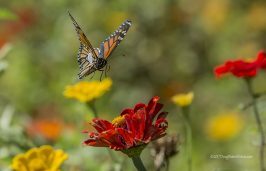 Doug Waters of Morehead City captured this image of a female monarch on Oct. 2 in the zinnia field in Cape Carteret.